This excerpt is from Lisa Bakewell’s article “The Tax Rules, They Are A-Changin’” in Massage & Bodywork magazine. You can read the full article at www.massageandbodyworkdigital.com/i/943527-march-april-2018/92. ABMP echoes Lisa’s advice: this article is a guide, and you should seek the advice of a financial professional to obtain optimal tax benefits for you, your family, and your business. ABMP members save with H&R Block at https://www.abmp.com/members/business-management/discounts-and-resources/discounts#legal-and-finance. On December 22, 2017, President Trump signed the Tax Cuts and Jobs Act (TCJA), marking the first significant reform of the US federal tax code for individuals, small businesses, and corporations since the 1986 Tax Reform Act. Beginning in 2018, the TCJA provides several taxsaving opportunities for businesses of all shapes and sizes and—most notably—a new tax deduction for small business owners (pass-through entities). In this article, highlights of the TCJA are discussed; however, always seek the advice of a financial advisor to obtain optimal tax benefits for you, your family, and your business. 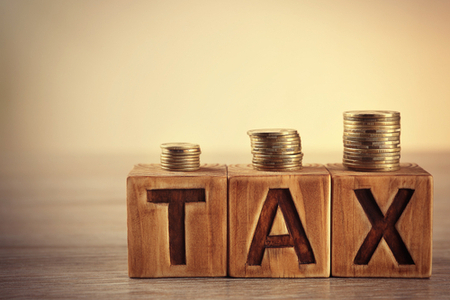 An overview of the seven individual tax brackets and rates for 2018. A review of Section 179, the deduction allowing small businesses an immediate break on purchases of equipment. An overview of phased-out deductions and other changes as a result of the TCJA.